One of the most difficult car trips I ever took was the one that distanced me from my newborn first grandchild. Each one of the 600 mile markers to home that day seemed blurred to me. With both of our children’s families settled in the same part of the country, this trip is one that I have repeated four more times (so far!). Out of this separation. however, has come an awesome connection with each of our beloved. It always amazes me how the parents instilled familiarlity in our very young grandchildren. They made GrandPaulie and GranDee household words. No memory is sweeter than arriving at their homes to outstretched arms of recognition and love. I believe that you also have established the identity of your far away loved ones in the heart of your own children. In doing so, you have brought love, security and affirmation into your child’s present. Love, security and affirmation. Are they not the very things that God wants to impart to His children? We have a Heavenly Father who longs to be greeted with open arms of recognition and love. It seems so difficult to establish familiarity with One who is unseen…whose picture we cannot take…with whom we cannot video chat or text. Or can we? The Bible says in 1 Samuel 2:21 Meanwhile, the boy Samuel grew up in the presence of the Lord. For Samuel that meant living apart from his mother, Hannah, and being raised in the temple by Eli the priest of the the Lord (A Robe for Samuel). Modern mothers have a tremendous advantage over Hannah. We live in the day of God’s grace. He is Emmanuel–God with us. We can raise our children in the presence of the Lord in our own homes. We do not have to leave them behind in Shiloh and practice absentee motherhood. If God is in our heart He is in our homes. If God is in our heart He is in our cars. If God is in our heart, He is in the grocery store, the doctor’s office, and at the beach. Meanwhile, wherever you are with your child, take the lead from Hannah. When your child tickles your heart, bring God into the moment. Say to your daughter or son, “I am so glad God made me your mother.” Or “What a gift from God you are to me.” Or “You are an answer to prayer.” Every time you connect your child with God you raise their level of awareness of God’s supernatural presence in their life. OPP: Find a way to bring God into the present of your life today. 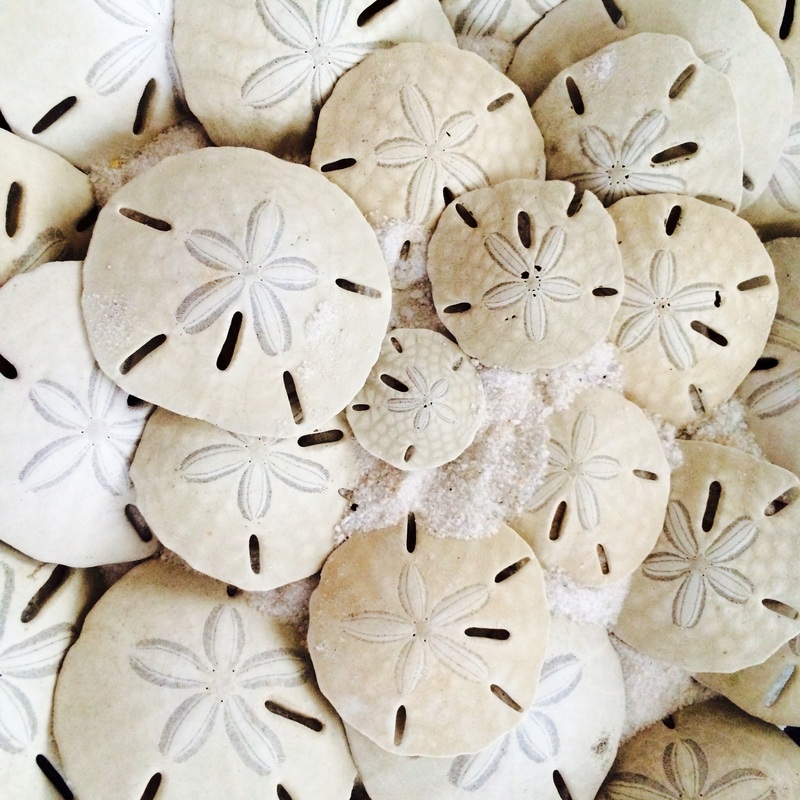 It could be as simple as looking at the special design of a sand dollar and saying to your child, “God made you in a special design too.” I would love to hear about God’s presence in your present!